A fundraising night has been setup at Panda Express here in Sherwood for Friday September 21 from 4-8pm. 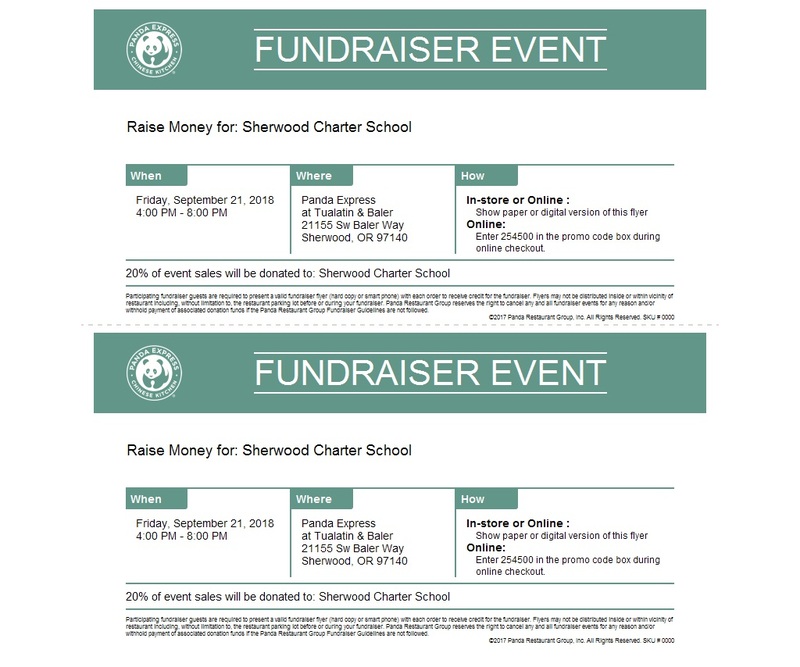 Panda Express will generously donate 20% of all proceeds when this flyer is shown on paper or digitally on your mobile device to Sherwood Charter School PAC. Online orders also count, just use the online code from the flyer. Please come and enjoy some fun with friends and help support your school. Thank you!